The auction will be held during FarleyCon, a comic and toy expo at East Ridge Community Center Saturday, April 13. The convention features more than 40 vendors as well as celebrity guests and begins at 9 a.m. The auction starts at 3 p.m. and should last an hour to an hour and a half. 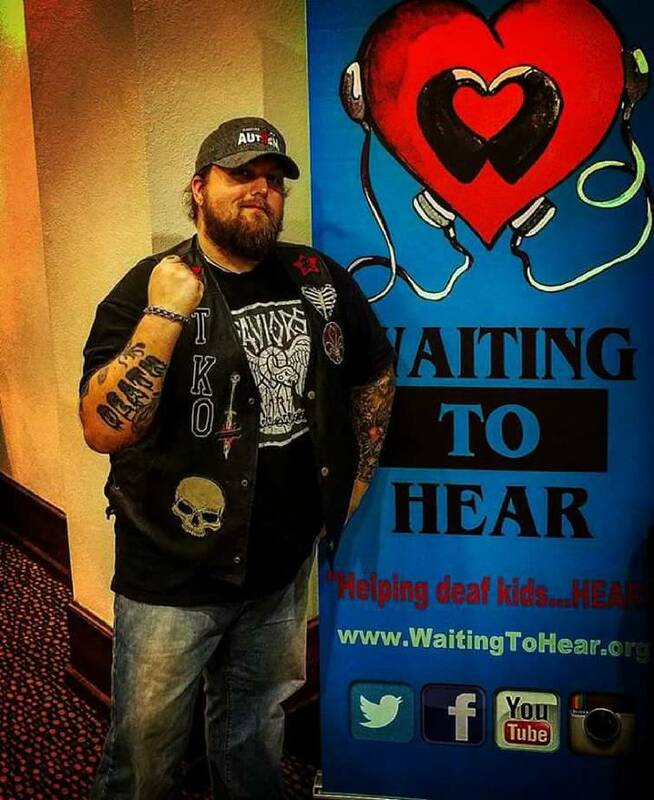 Funds raised through the auction will go toward Waiting to Hear, a nonprofit founded by Kingsport, Tennessee, resident Shannon Ball and his wife after their daughter, Sarah, lost her hearing at age 2. Until she received two cochlear implants seven months later, instead of saying she was deaf or hearing impaired they said she was "waiting to hear." From that sprang the name for the organization they founded to bring the gift of sound to other deaf children. The Balls hold five fundraisers a year to provide programs such as Camp H.E.A.R., a free summer camp for children with hearing loss; a free pediatric hearing aid program; and a free mobile hearing screening clinic. This will be the organization's first time doing an event in Chattanooga, which came about due to Turner's friendship with FarleyCon founder Rocky Spurlock. "He just fell in love with what we do here [at Waiting to Hear]," Ball said of Josh Turner, whom he met through the family of the first child to receive hearing aids from the organization. "We're really excited about it." The Turners will be auctioning off autographed memorabilia from science fiction and superhero-themed television shows and movies including "Harry Potter," "Star Wars," "Star Trek" and "The Walking Dead." For those who aren't a fan of comics, there will also be some classic TV and movie memorabilia, such as a "Gilligan's Island" DVD signed by Dawn Wells and Tina Louise (aka Mary Ann and Ginger) and a "Wizard of Oz" script signed by one of the only living Munchkins from the 1939 film. "There's a lot of neat little things from days gone by," said Ball, whose goal for the auction is to raise $5,000 to go toward the Camp H.E.A.R. program. Items can be previewed throughout the day at the organization's convention booth, where they'll be offering free hearing screenings. They'll also be doing their first mystery comic book hunt, in which they'll sell 100 comic books for $10 each in bags with cardboard inserts concealing the front and back. Amongst those comics will be a book signed by the late Stan Lee. "It's such a fun atmosphere," Ball said of comic conventions. "You'll not only have a wonderful time, but help a good cause in the process." East Ridge Community Center is at 1517 Tombras Ave. For more information about FarleyCon, visit farleycon.com. To learn more about Waiting to Hear, visit waitingtohear.org.